Guess how incredibly lame we are! And by “we” I’m referring to myself and my husband, a pair of old, pathetic party animals who just can’t hang with these kids today. And by “hang” I mean stay up past 9:30pm. This is embarrassing. Get ready. So, okay. Today is our 7th wedding anniversary. Well, with tonight being a school night, we got all gussied up on Saturday evening for an early celebratory dinner while watching the KU game at our favorite little neighborhood joint. You guys, I brushed my hair and even wore a bra that didn’t involve the word SPORTS in front of it. YOU ARE SO HAWT FOR ME RIGHT NOW. And then the next thing we remember is waking up to the weatherman talking about how HOT it was on Mass Street in Lawrence because of the miraculous and unexpected win. And it was light outside. I blame the stupid fancy bra. And you should know that I’ve since purchased little elves to hang out and splash coffee inside my eyelids for tonight’s final game, say the issue arises again. 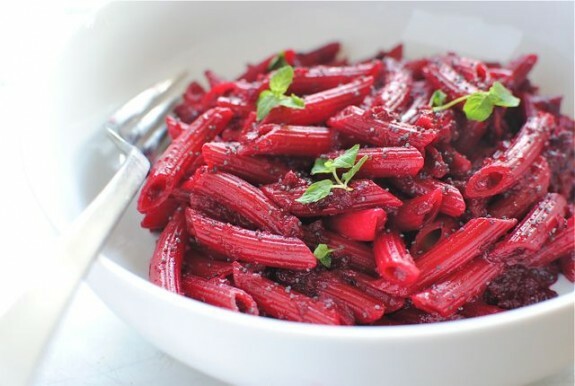 Now, let’s talk about this penne pasta with roasted beet sauce action. Have you ever seen such COLOR? I almost died eating it. It is seriously so divine with all that roastedy beety flavor and those little crunches of poppy seeds and blasts of fresh mint. Hip. Hop. You. Don’t. Stop. And then freshly grated cheese on top? Daddy. Mac. Will. Make. Ya. I died again just now. 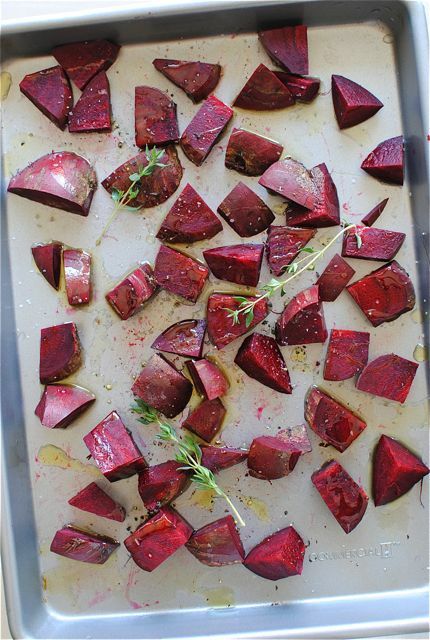 On a rimmed baking sheet, toss the diced beets with 1 Tbs. oil, thyme sprigs and a good pinch of salt and pepper. Roast for 40 minutes. Check for doneness at the 30-minute mark. 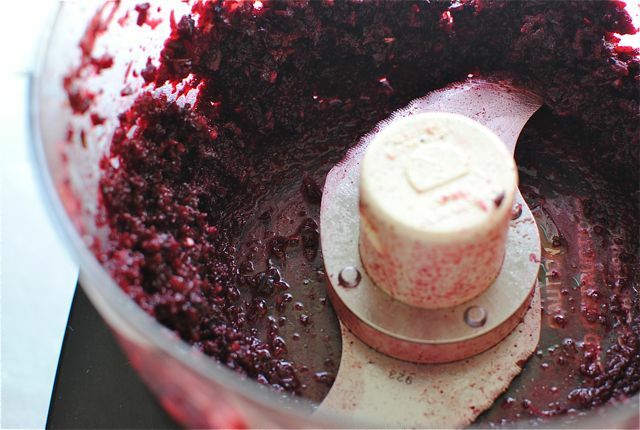 Transfer beets to a food processor. 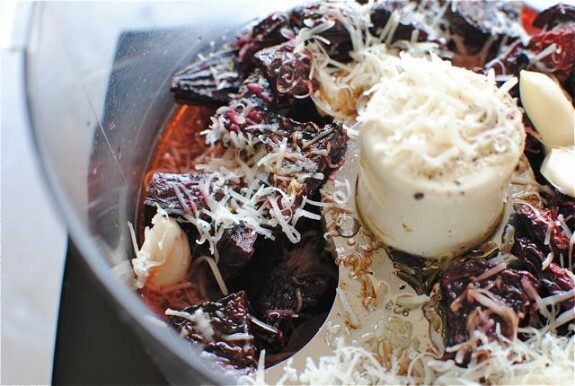 Add the garlic, balsamic vinegar, vermouth, half of the cheese and the 2 remaining Tbs. oil. Pulse until it’s as smooth as you can get it. Transfer beet mixture to a small saucepan. Add the stock and cream and bring to a light simmer. Add the sugar, remaining cheese and another pinch of salt. 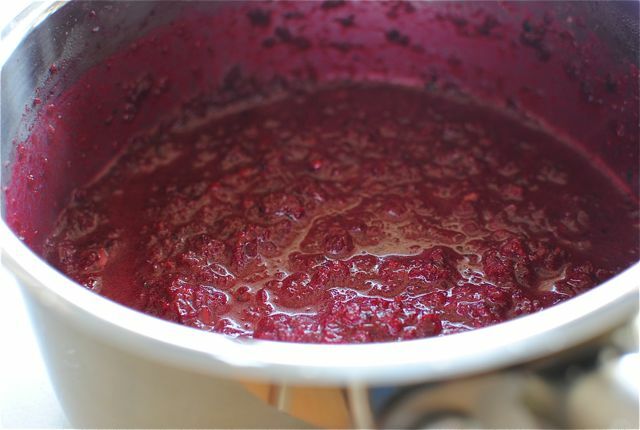 Simmer on medium-low while you prepare the rest of the meal. Taste it. Oh I know. 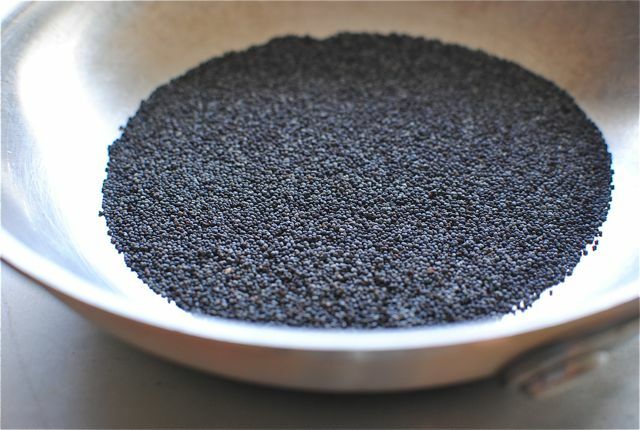 Toast the poppy seeds in a small skillet until fragrant, about 2 minutes. Cook the penne until al dente. Drain and return to skillet. Pour the sauce over the pasta and toss to combine. Look. At. That. Color. Give it one more taste. Season accordingly. Serve pasta garnished with a good sprinkle of the poppy seeds and the mint leaves. And more cheese. Absolutely more cheese. *Quick Note* One thing I SHOULD have done and will do next time is roast the garlic along with the beets. That would have taken this over the moon. That is all. Sooooo pretty. I'm head over heels for beets. I bought some beet seeds for my garden this year - I can't waaaait! And when your done with that little coffee slashing elf, send him my way. I can't stay up past the double digits for the life of me. I topped mine off with feta cheese, the saltiness was fab against the beetroot. These are my modifications: I added Tamari roasted almonds to the beet sauce and ground, which made it into a delicious pesto; I added lemon juice; instead of cream I used pasta water and instead of penne I cooked quinoa: 1 cup of quinoa + 1 1/2 cup of water plus 1/2 coconut milk. I also included some cilantro in the beet sauce, and had no mint nor poppy seeds--next time! The beet sauce is totally deiicious. Great recipe. WOW! This dish looks amazing! & Happy Anniversary :) ps: don't worry we can't hang either. I should probably wear a whole body cover to eat this dish. I'd probably get myself red in the first 2 bites :) Looks so delicious! Happy anniversary!! Gorgeous color. This sounds outta this world. Happy 7 years! I LOVE roasted beets. Beets and dates, nature's candy! Looks great - two questions as I have never dealt with beets before - 1 - Do you peel the beets before dicing them? 2 - Does the sauce stain your teeth/mouth at all? Hey, Jen! 1) No peeling. I mean, you CAN if you want, but I never do. 2) No staining! WELL, I take that back. I did Facetime my sister while eating it and said, "excuse me while I eat this human real quick." with it all in my teeth and on my lips, but I'm weird. No long-term staining, though! Your so funny!! You crack me up!! Hella lot!!! Beautiful popping dish! I'm red with envy! Sounds and looks incredible. Can't wait to try the recipe. So unusual--love it! Happy A-day! If I keep saying that, it will catch on, right? I'm going to have to bust out a black shirt just to make this because I foresee staining any other shirt I would choose to wear. 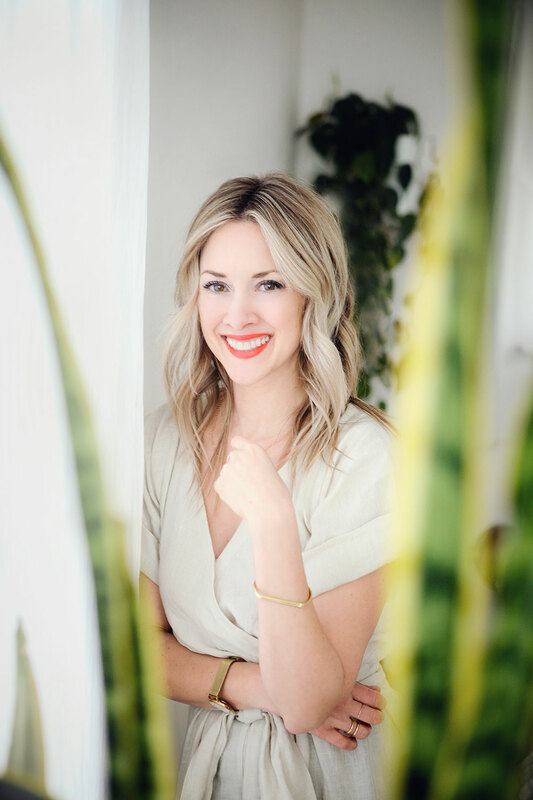 Love your story. It's something my husband and I would do to! Happy Anniversary! And I'm totally in love with this pasta. Love the color!! You and I are all about AU NATURAL color today. This pasta is stunning. It should come over to make out with my carrots. Oh my. This looks like heaven. (My version of heaven has lots of pink in it.) I cannot wait to make this for my dinner. Happy anniversary! Happy Anniversary! The color of this pasta is amazing!! And I bet it's so tasty! You're killing me, Bev. This looks insane (in the membrane, insane in the brain). Okay you'r 90's hip hop action is rubbing off… But knowing me I'd spill half of it down my front trying to shovel it in as fast as possible. Do your purchased caffeine-spalshing elves do clean up too? That is such an amazing color! Who could eat a giant bowl of that! Congrats on 7 years! This is so pretty! I bet it would also be fabulous with goat cheese crumbled on top. Oh my. PS. Happy Anniversary! Yaaay! Oh I'm so glad to hear that! Looks beautiful and delicious! Great idea!!! Gorgeous dish! I love the rich red color. Pink pasta.... So ROMANTIC! Congratulations! yum! 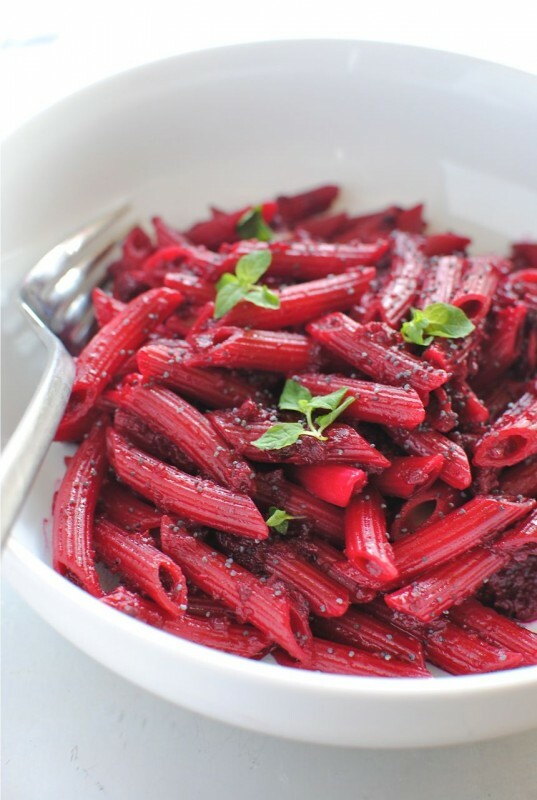 beet and pasta! not a combi i ate often but this looks aaaammaaazing, thank you so much for sharing the recipe!!! The pasta is gorgeous! I wish you a happy anniversary by the way ;) "Happy Cooking"
GORGEOUS!! I made "green noodles" for my girls the other day and thought about making a purple version, too. Thanks for doing the work for me! :) Oh, and Happy Anniversary! You guys are adorable! Your stories always make me laugh, Bev. That penne is so outrageously gorgeous. I think I'll have to learn to like beets so I can make it. Fun fact: you and Aaron share the same anniversary as my parents. They made it to 29 years! My mom bought a cupcake to share with my dad to celebrate. Pretty cute. I made this tonight. Good thing I doubled it so my husband and I can have leftovers for lunch tomorrow. I'm already looking forward to it! I just made this tonight and just HAD to tell you what a GENIUS you are for adding the poppy-seeds to the meal! I would have never thought of adding them to anything but, well, lemon-poppyseed loaves:). I'll be adding poppy-seeds to everything now for their delish crunch in my mouth:) Koodos! 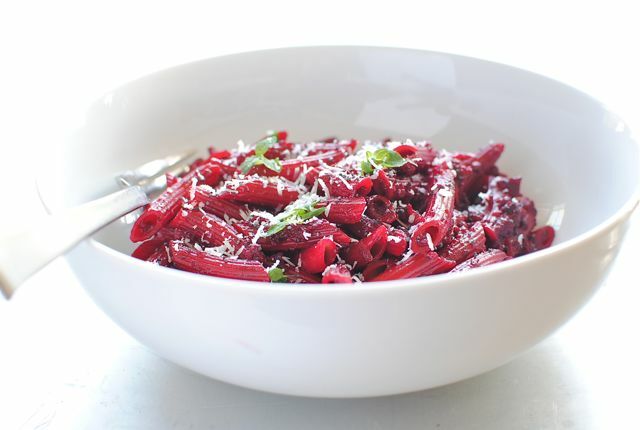 I make this cold relish with baked beets that is creamy and garlicky, and I bet if I pureed it, it would make an outstanding dressing for a cold pasta salad. I even have some baked beets in the fridge, and I'm going to try your recipe tomorrow. You gotta love that color. ;) Excellent! I just made this..and it's amazing...actually I'm sitting here eating seconds of it right now...I think I just died ;) I wasn't sure if I'd like it because I was always the person to skip the beets at the salad bar, but FRESH beets taste NOTHING like the canned ones. I think I ate about half the batch when I first took them out of the oven. I would totally just roast these like the recipe said and eat them like that. Now I just need a recipe on what to do with the beet greens...ideas? Amy- I chopped the beet greens (stems and all), blanched them and then sauteed them in olive oil, garlic, salt and red pepper flakes. I added them back to the pasta and it was wonderful. Hi! Trying this tonight! Did you use sweet or dry vermouth? Hi, Lisa! I used dry. But either one I'm SURE would be pawfect! This recipe was great. I fed it to my husband & three daughters. 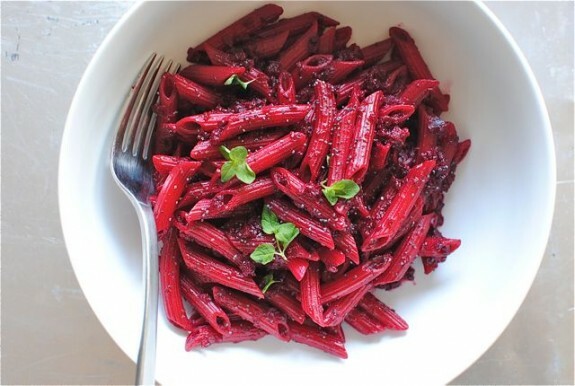 The bright pink pasta lured them in & the beet sauce finished the job. Thanks! Honestly, I think the vinegar might impart a sour taste to the sauce that wouldn't be there with the roasted. If you can, find some fresh beets to roast for this dish, and save the pickled beets for maybe a salad? Pickled beets sound good. Mmmm. OMG I need to try this! :) My own version is so simple - but absolutely delicious and toddler approved - that it really has almost just beets! 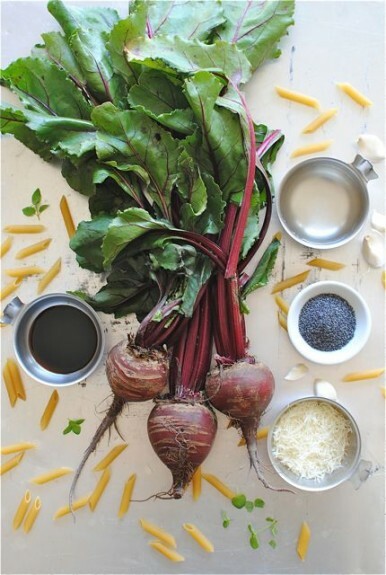 I (now) love beets so much that my recipe should be called 'beets cream with a (n optional) pinch of pasta' :) These pictures are gorgeous, mine are scary... http://italianmondays.com/post/41179424945/beet-sauce-for-pasta-and-gnocchi Thanks for sharing! I made this recipe for my husband and myself last night - it is so delicious! I think next time I make it I would add in some green veggies - perhaps some roasted asparagus. Other than that - I wouldn't change a thing - so great! I know this post is a couple of years old, but I just made this pasta tonight and it came out SO delicious! Even my skeptical fiancé (he was afraid of the color!) dug in. I will be making this again, most definitely! I used 1 cup of lactose-free milk because he is lactose-intolerant, and it was still wonderful. Has anyone tried this without the vermouth? I don't want to buy a whole bottle for such a small amount. Kealy, vermouth doesn't spoil, and you can always use it as a substitute for white wine in a recipe. I always keep a bottle on hand, and if you buy one for this, I don't think it will go to waste. Nigella Lawson recommended keeping a bottle of vermouth and a bottle of sherry (which will substitute for red wine), and I always do now. Hello, this sounds delicious! I have a question though: how does the sauce keep? Could I make this ahead of time and keep it in the fridge and reheat it? Ya know, I'm not sure entirely sure how it would keep, as I inhaled it all in one sitting. I imagine it should keep okay though! Let me know how it turns out. I actually made the whole thing ahead of time, just waited to put in the cream tonight which made for a super easy weekday meal. It was DELICIOUS. Thank you! Would that be dry or sweet vermouth? Sauce was much better before adding cream, vermouth, and sugar. I added some sauted kale and make it with potato gnocchi! Loved it!